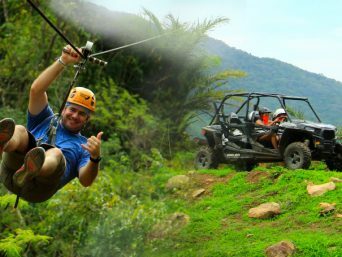 ALL THE FUN IN ONE PLACE! 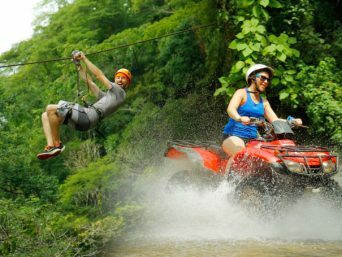 More than just an adventure! 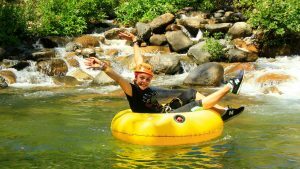 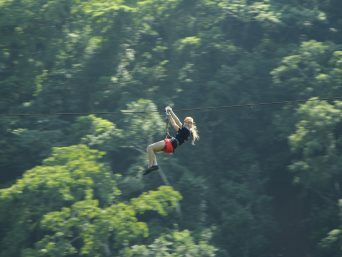 Canopy River offers you unforgettable experiences. 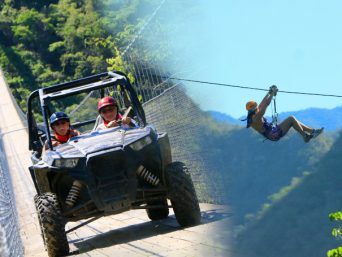 Fly over the top of mountains on ziplines. 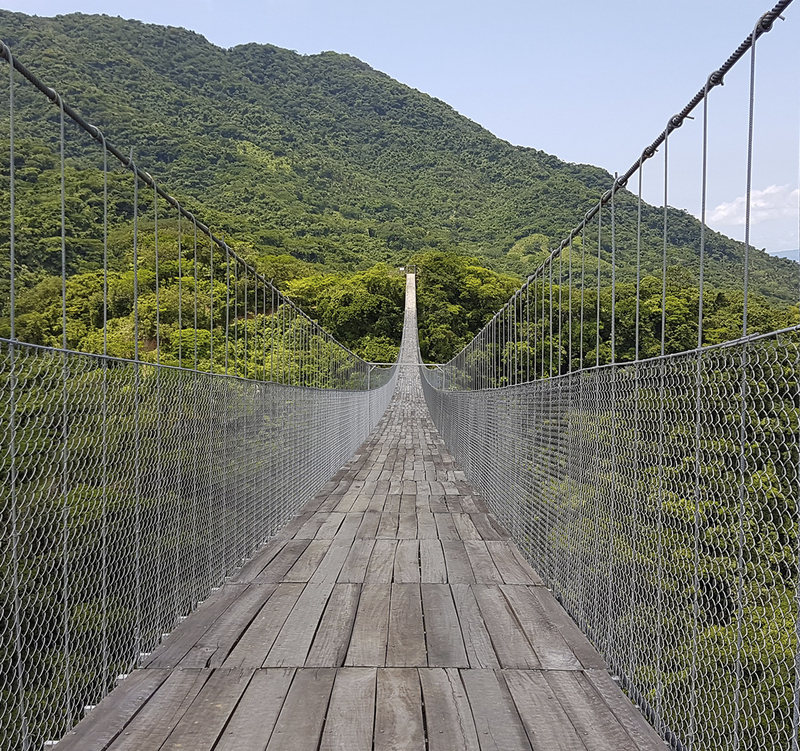 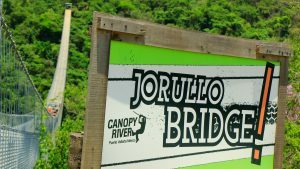 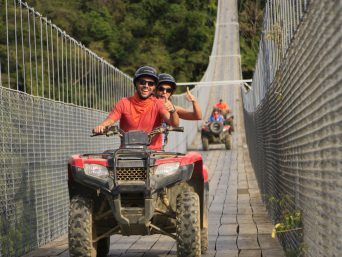 Fill yourself with adrenaline by crossing the longest suspensión bridge in the world with an ATV or an all-terrain vehicle. 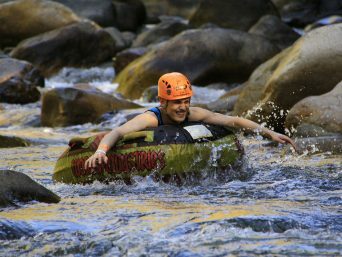 Practice rappel on a wall and free fall rappel and descend down the river rapids. 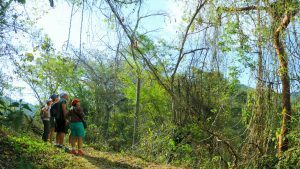 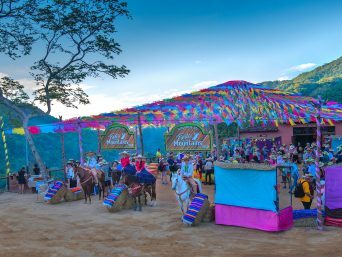 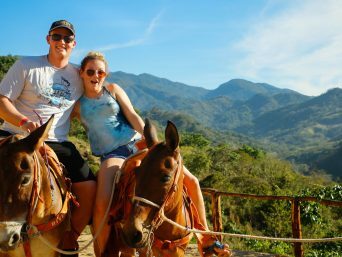 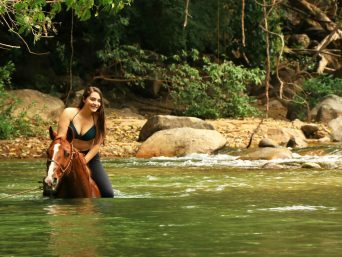 Ride some cute mules and do a hiking tour in the jungle discovering the vegetation and animals of the region and dive into a natural waterfall. 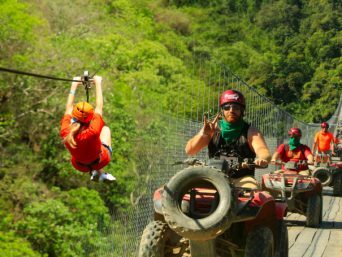 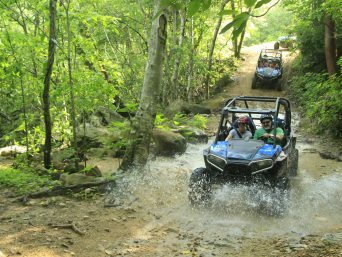 PREPARE TO EXPERIENCE PURE ADRENALINE Immerse into the wildness of the jungle and dare to experience an adventure without limits! 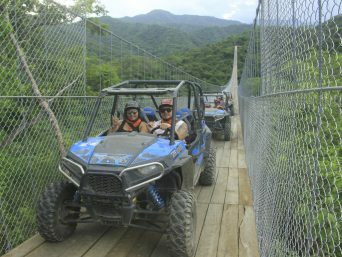 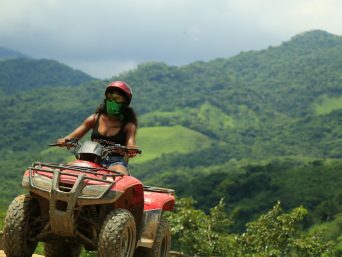 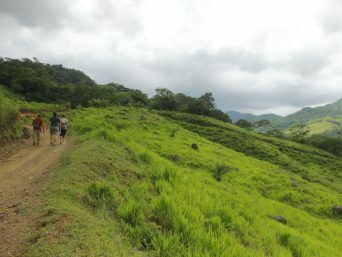 Dare to ride a RZR and discover all the trails in the stunning Sierra Madre and its beautiful rivers. 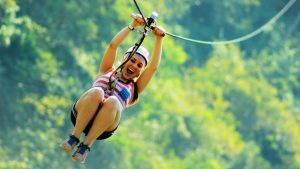 Live this exciting tour!